CH Tri-Pod's Ladybug came to me as a gift from Deb Podratz (Tri-Pod's). She is from a litter of seven that all became Champions. She is out CH Empire's Brooklyn Dodger and CH Tri-Pod's Firefly. 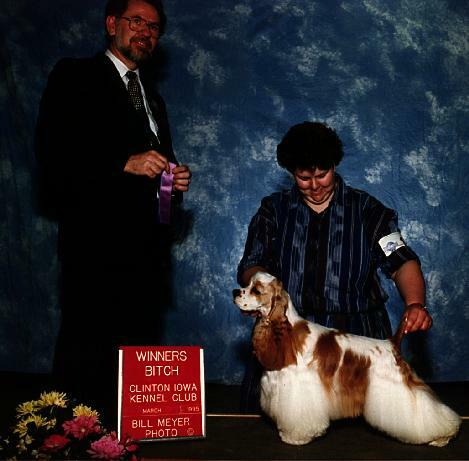 Lydia produced three champions from her first litter. She currently has three puppies being shown.